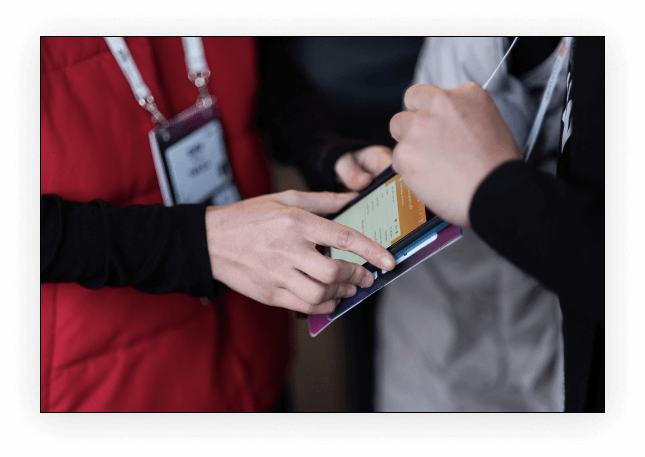 Regulate your event without disrupting the attendee experience. Our access control and session scanning solutions are powered by NFC technology to enable a quick, seamless and accurate scan ― every time. 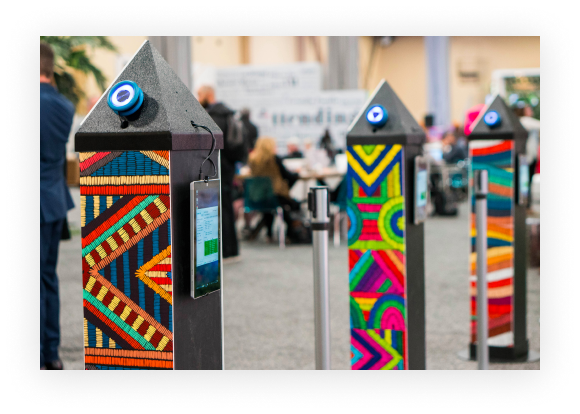 Our customizable pods come equipped with an NFC reader and access control tablet. An attendee simply taps their badge to the NFC reader in order to be granted or denied access. One staff member can monitor several pods, cutting down the number of staff compared to handheld scanners. Using NFC technology, our handheld access control and session scanners are able to regulate attendee access in seconds. Using credentials that are pre-loaded onto the badge, our application will turn red for access denied, or green for access granted.